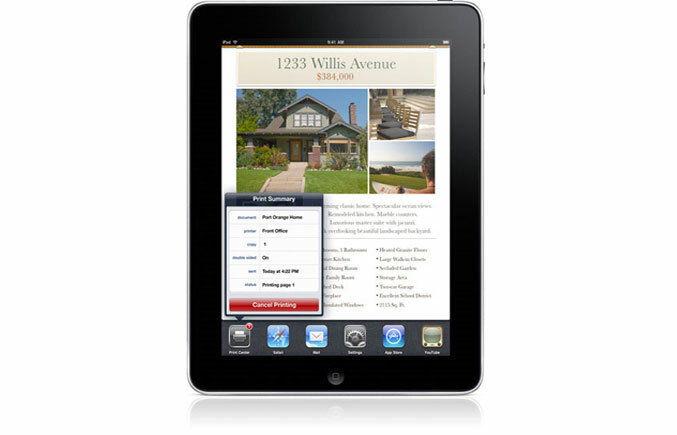 Apple announced the release of AirPrint wireless beta for iPad, iPhone and iPod Touch devices. The AirPrint Wireless Beta will be available for Apple iOS Developer Program members. AirPrint will be also included in the next free iOS 4.2 software update, which is coming in November. Apple’s AirPrint Wireless has the ability to automatically detect printers on the near local networks, and print text, photos and graphics on them over Wi-Fi. The ePrint enabled printers by Hewlett Packard will be the first devices that will support “printing detect” on the iOS devices by Apple. Designed to support a wide range of printers, AirPrint Wireless also offers the ability for iOS 4.2 devices to print to printers that are shared through a Mac or a PC. The next iOS 4.2 will be compatible with HP Photosmart, Officejet, Officejet Pro and LaserJet Pro ePrint enabled printers.